We are only five games into Round 5 of the Top 16 in the 2014/15 Euroleague, with 3 games to come on Friday the 30th of January, but there has been a considerable deal of excitement. The reigning champions clashed with the team they defeated in a final, a 100% record went on the line and there were some big results from teams who needed big results. There was also a new title for Felipe Reyes who became the all-time leader for rebounds in the Euroleague. In the last few seconds in the game in Tel Aviv, Reyes notched up his 1,288th rebound of his career, allowing him to leapfrog Mirsad Turkcan. It may have been an evening where Felipe Reyes has something to smile about but on the whole, it was a difficult evening for the Spanish Giants in Israel. It was a game that alive to the dying seconds and it wasn’t until Sergio Rodriguez, the current MVP in the Euroleague, committed a turnover that you knew the win was staying with the home side. This result means that both teams hold a 4-1 record, and they are now both sitting at the top of Group E.
Sofoklis Schortsanitis was a big player for the home team, he got into the game early on and he offered up a total of 17 points and 8 rebounds. MarQuez Haynes also provided 17 points, Sylven Landesberg providing 16 points and Devin Smith provided 14 points. With Jeremy Pargo providing 11 points and 9 assists, there were plenty of big names for the reigning Euroleague champions. As well as writing his name into the Euroleague record books, Reyes offered 20 points and 11 rebounds for the Spanish side, while Gustavo Ayon provided 13 points and Sergio Llull offered up 11 points. This was the first ever Top 16 win for the team from the Serbian capital and there were big celebrations for the result which moved Zvezda on to a 1-4 record while Berlin slipped to a 2-3 record. The home side got themselves into a strong position early on, and they never looked like relinquishing it at any point over the course of the evening. Boban Marjanovic was a key man with 17 points and 12 rebounds while Charles Jenkins also provided 12 points. Branko Lazic managed to serve up 10 points and Marcus Williams helped the home team with 10 assists. As you would expect, Jamel McLean was the leading man for Alba, grabbing 14 points while both Cliff Hammonds and Reggie Redding offered up 11 points. CSKA Moscow moved on to a 15-0 record, including a 5-0 record in the Top 16, and this was the teams 30th win in a row in all competitions, even if they did have to venture into overtime to do so. The Moscow side are certainly looking for the 2014/15 Euroleague and they were strong winners in this pulsating clash between two sides from Russia. This loss moved Nizhny on to a 2-3 record, but they pushed a very strong opponent right to the limit. Milos Teodosic was the key man with 25 points while Andrey Vorontsevich added 22 points and Aaron Jackson had 15 and 6 assists. 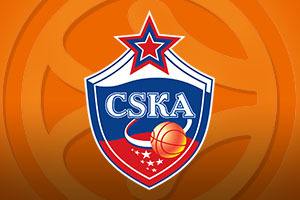 There was also strong support from Nando De Colo, who scored 13 points and Sasha Kaun offered up 11 points for CSKA. Trey Thompkins and Taylor Rochestie were the star players for Nizhny with both of these players grabbing 22 points. Terence Kinsey was also in top form, providing 19 points and 10 rebounds, while Art Parakhouski managed to serve up 18 points for the guests. Rochestie was responsible for taking the game to overtime as it was his 4 free throws that levelled the game at 88-88 but Teodosic and Kaun made the difference before Voronsevich sealed the game with a late layup. With Dave Bertans grabbing 16 points in the opening 5 minutes of this game, Laboral Kutxa Vitoria were in complete control from the start. This win moved Laboral on to a 2-3 record in Group F while Milan slumped to a 1-4 record. Bertans eventually grabbed 19 points in the game (all clinched within 16 minutes) while Mike James offered 16 points and Darius Adams provided 15 points. Fabien Causer also played his part in the win, offering up 12 points for Laboral. Samardo Samuels fought hard for Milan, providing 18 points and 8 rebounds, Allesandro Gentile provided 15 points and Linas Klezia offered up 14 points. A strong defensive showing from Anadolu Efes made all the difference, with the Turkish team handing their Greek rivals their first loss in the Top 16. This moved Anadolu on to a 3-2 record while Olympiacos dropped to a 4-1 record. Nenad Krstic provided 13 points, Stephane Lasme offered up 12 points and Milko Bjelica offered up 10 points in the win. Olympiacos stayed in the game with Othello Hunter providing 12 points and 8 rebounds while Oliver Lafayette and Vengelis Mantzaris both provided 11 points. One of the biggest surprises of the night came with the fact that Vassilis Spanoulis could only offer 2 points.